Dorm Co. Tip: Coffee mugs can have personality too! Nothing makes waking up for early morning classes less horrible than a fresh cup of coffee. It can be so hard to crawl out from under your comfy twin extra long comforter for an 8:00AM class! But with our Compact Coffee Grinder in your college dorm room, you can transform yourself from groggy to ready-to-go every morning. The modern and sleek look of our coffee grinder will look great on your dorm room desk or dresser. With a clear curved lid and simple black color, our compact college Coffee Grinder will make your dorm room more like a Starbucks than a small space. 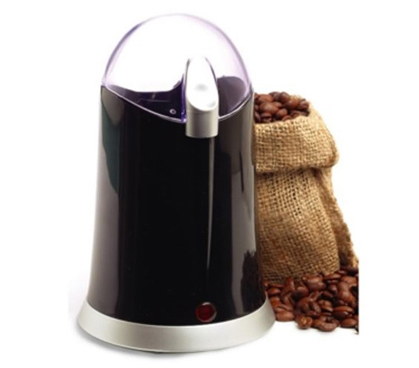 Our Compact Coffee grinder also has an indicator light that will tell you when your coffee is ready to be made. And if you're not great at operating kitchen appliances, our Compact Coffee Grinder has a safety switch so you don't have any coffee catastrophes in your college dorm room. Add a few coffee mugs or dorm mug organizers to your college supplies to satisfy your college coffee drinking needs. If you love a fresh cup of Joe every morning, then you need our Compact Coffee grinder to keep you going in college. 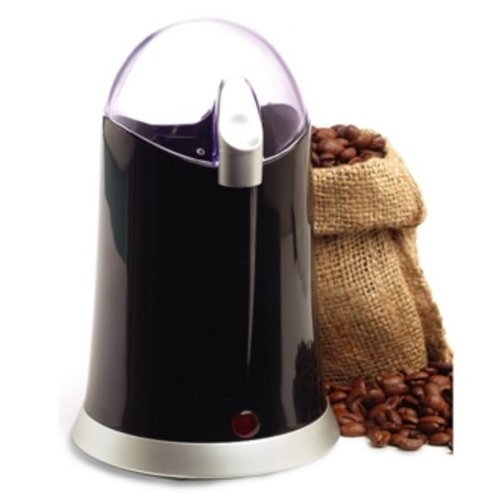 Walk out of your dorm room with hot and fresh coffee every morning with our must-have dorm coffee grinder.